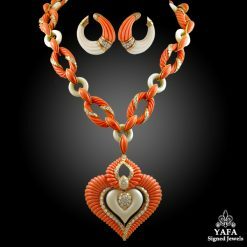 A remarkable suite comprising a necklace and ear clips by Chaumet that dates back to the 1970s. 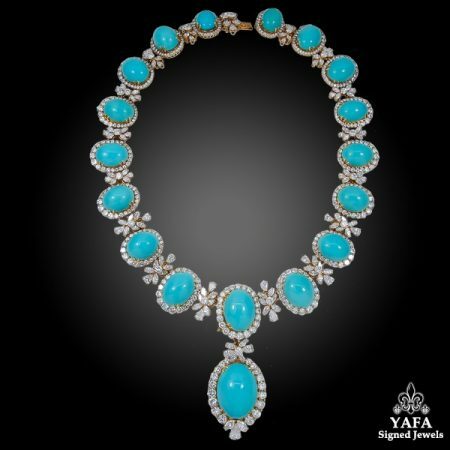 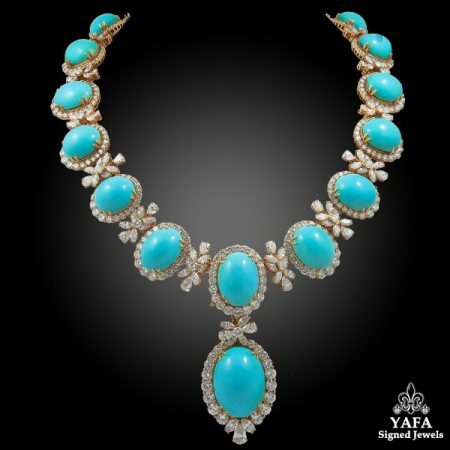 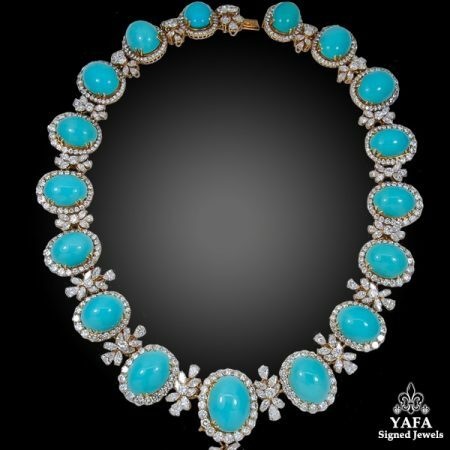 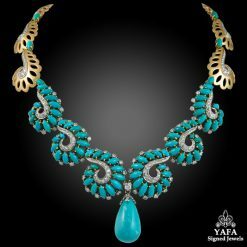 The necklace is exquisitely set with graduated cabochon turquoises framed by luminous brilliant-cut diamonds, interspersed by brilliant-cut, marquise-and pear-shaped diamonds, suspending a detachable, similarly framed cabochon turquoise at the center. 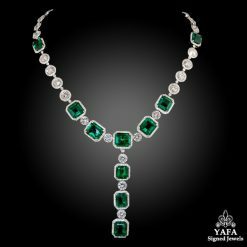 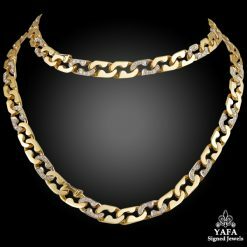 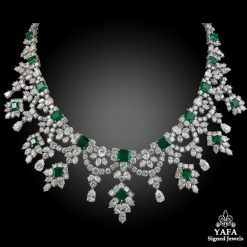 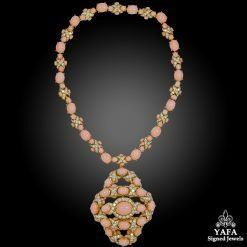 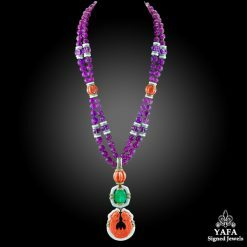 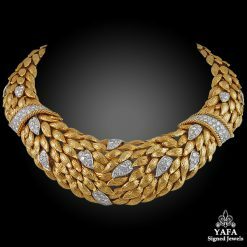 The necklace’s inner circumference measures approximately 430mm. 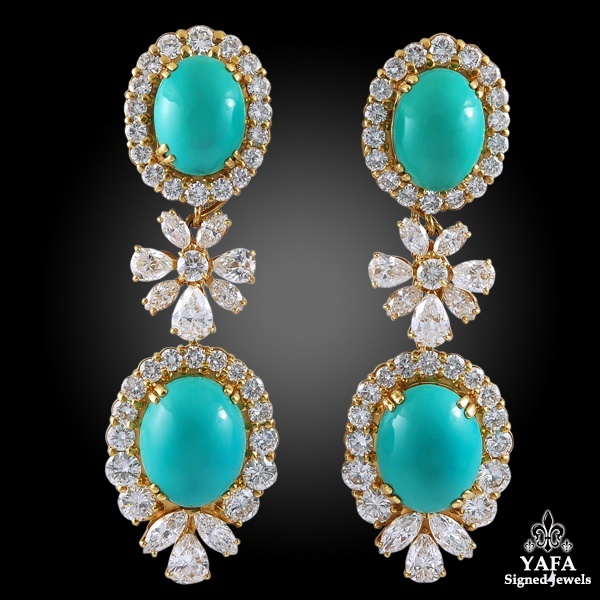 The matching ear clips are designed with suspending pendants that can also be detached. 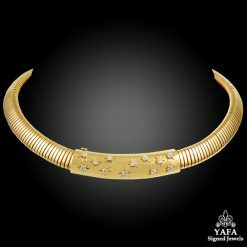 Each signed Chaumet, ring numbered, each with French assay marks for gold and maker’s mark. 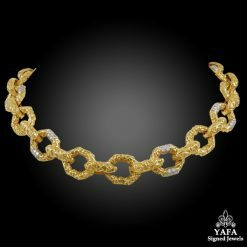 Total diamond weight is approx. 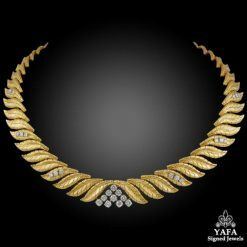 120 cts.